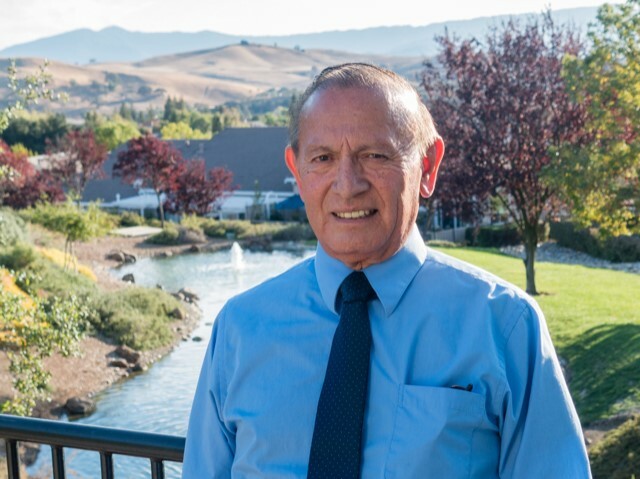 Alejandro (Hondo) Flores passed away on Friday, March 22,2019, at his home in Watsonville. He is survived by his wife of 50+ years, Linda J. Flores, his three sons and their spouses, Ricky & Tammy Flores, Ryan Flores & David Zellhart, and Alex & Olivia Flores; his five grandchildren, Cameron, Nick, Nathan, Xander, and Bella Flores; his two brothers, Bennie Marcos and George Flores, and his sister, Alicia Flores. Hondo was born in Eagle Pass, Texas on January 28, 1940. He attended and graduated from Eagle Pass High School where he excelled in football, baseball, and basketball. After graduating high school, he enlisted in the army where he served in Germany. After receiving a honorable discharge, Hondo moved to Watsonville and got a job at Ford’s Department Store and then worked for the local cable TV company for over 35 years until his retirement. Hondo was well known in the community for his generosity, selflessness, and baseball knowledge. His passion and involvement in Little League spanned over 25 years, first as a board member, then a coach, and then a manager. He enjoyed chatting with his many friends during morning coffee at the bowling alley for many years. He attended Watsonville Church of the Nazarene where he worshipped and served on the board. Hondo loved gardening. Growing tomatoes was his specialty. He will be remembered for his energetic and insightful sports talk when watching the ball game, especially when the Giants, Dodgers, or Cowboys were playing. Hondo enjoyed spending time with all his family, especially his grandchildren and will be remembered as a kind and considerate friend to anybody who met him. A celebration of Hondo’s life will be held at Green Valley Christian Church, 376 S. Green Valley Rd., Watsonville, CA 95076, on Saturday, April 13 at 11:00 a.m. A reception will be held immediately following the service in the Fireside Room at the church. Mehl’s Colonial Chapel has been entrusted with the arrangements.